Handcrafted in Fort Worth. Factory-Direct to you. The Equalizer is back and better than ever. Long irons that you'll look forward to hitting. Distance. Accuracy. Forgiveness. A hybrid like no other. 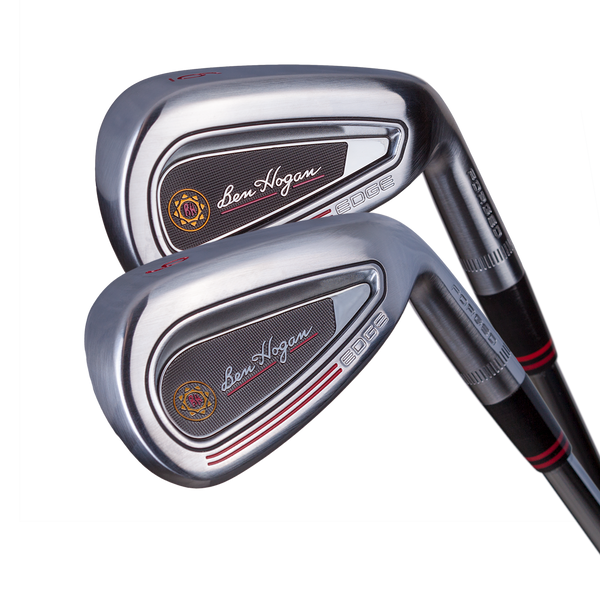 Try Ben Hogan products at no risk or obligation to purchase. 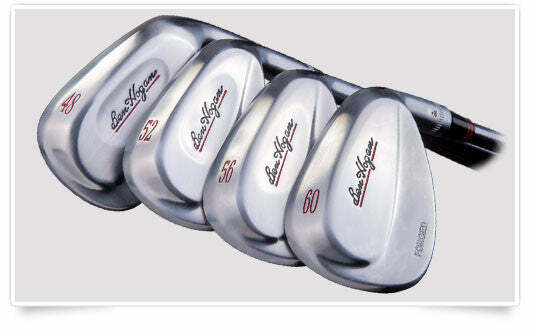 Let the Ben Hogan Golf Equipment Company help defray the cost of your new, upgraded clubs! Now offering financing with Klarna or Slice Your Payment in 4. Very nice duffle bag, that has plenty of space. DO NOT hesitate to get these clubs! They really are high quality products and play like wonderfully. These clubs exceeded my expectations. This is the fourth set of Hogan irons I have owned, and these are the best. Fantastic looking and feeling clubs. Excellent value with outstanding customer service. Best hybrid i have ever hit. The ball goes straight....Flat out amazing. You just can't get a better wedge for the price. This is the best value going. Stay in touch about new products & events! Engineered for accuracy. Forged for feel. Many modern wedges bear a striking similarity to those dating back to the 1950s, the ones Ben Hogan said should not be hit over 40 yards. What Ben Hogan knew was that wedges constructed with heavily weighted sole and extremely thin upper face caused very inconsistent distances with full swings. That insight inspired our engineers to completely re-think wedge design. We set out with the objective of developing a versatile set of scoring 'instruments' that performed exceptionally well on both full and partial shots. Plus, they had to be more versatile around the greens … in the rough, on the fairway, in the bunkers … than any other wedge. Ben Hogan TK wedges accomplished our goal. More importantly, they will help you become a much better wedge player. They look different because they play different. Trajectory and distance control are the two biggest scoring range challenges for golfers of all skill levels. Our extensive testing on swing robots and with hundreds of golfers have proven that some of those problems are caused by your wedge design itself. In Ben Hogan TK wedges, our engineers re-distributed the mass more evenly across the back of the club head to fix these faults. In turn, they deliver more penetrating trajectories on full swings, and the distance control on all shots that is so important to scoring range performance. Plus, Ben Hogan TK wedges are easier to flight down and much more responsive to those “in-between” shots around the greens. The part of the game where feel counts the most. 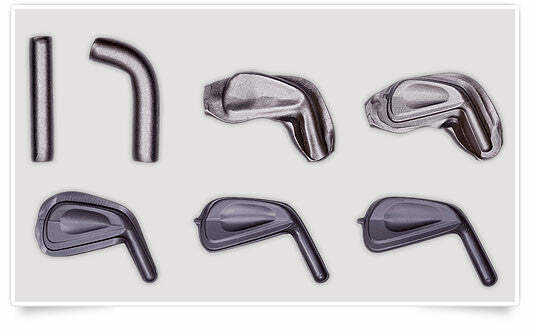 Ben Hogan believed only a quality forging could deliver the feel and feedback crucial to a solid short game. And we concur. Ben Hogan TK wedges are forged from 1025 carbon steel in a six step process that delivers extraordinary club-to-club consistency. 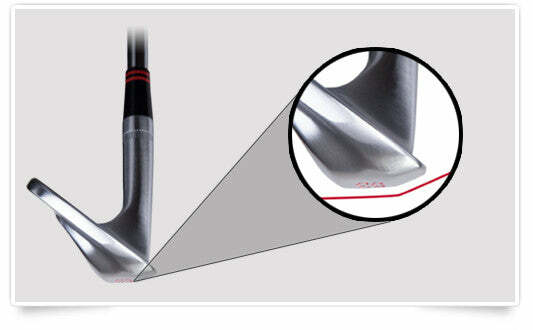 Simply put, this provides the ultimate performance and feel that you simply can't find in a cast wedge. The most versatile sole design in golf. At the heart (and sole) of every Ben Hogan TK wedge is our V-SOLE® design. 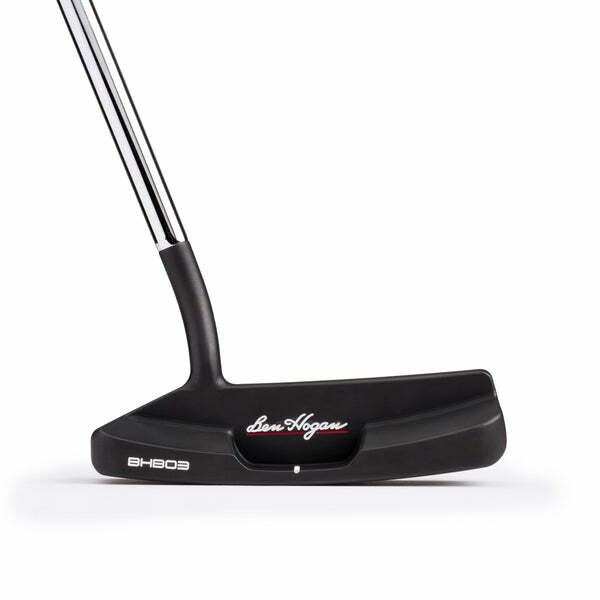 For each loft, we blend a high-bounce leading edge with a lower-bounce sole and trailing edge. Ben Hogan TK wedges can handle any lie or shot you might face. Wedges have to be the most precisely engineered clubs in your bag. That's why we designed our wedges independently of one another with focused precision. With Ben Hogan TK wedges, as loft decreases from the lob wedge down to the gap wedge, some of the mass is gradually redistributed more toward the heel and toe, and higher on the club head. This ensures optimum trajectories on full shots, and improved distance control anywhere. And shots caught high on the face fly almost exactly like a well-struck shot. Distance control is the real measure of a good wedge player. 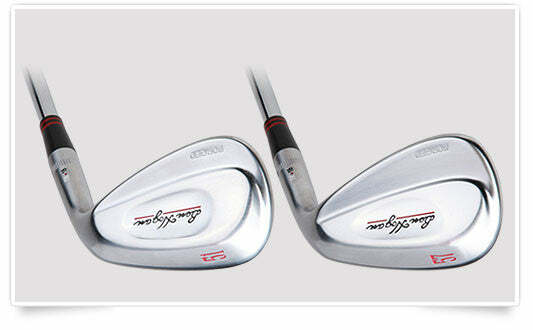 Ben Hogan TK wedges are engineered to help you be the best wedge player you can be. More options in the short end of your set. Bending a wedge can compromise its bounce and offset. In the ultimate commitment to the precision Ben Hogan demanded, we offer Ben Hogan TK wedges in every loft from 48 to 63 degrees. 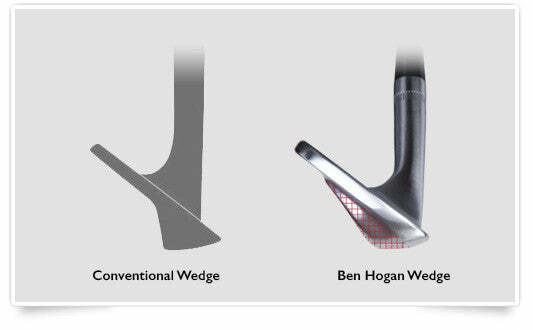 Now, every golfer can put together the exact set of 3-4 wedges that will optimize their distance gapping in prime scoring range and blend to their iron lofts... whether those irons are Ben Hogans or not. Don't let your old golf equipment sit in your garage! Send it to us and let the Ben Hogan Golf Equipment Company help defray the cost of your new, upgraded clubs! 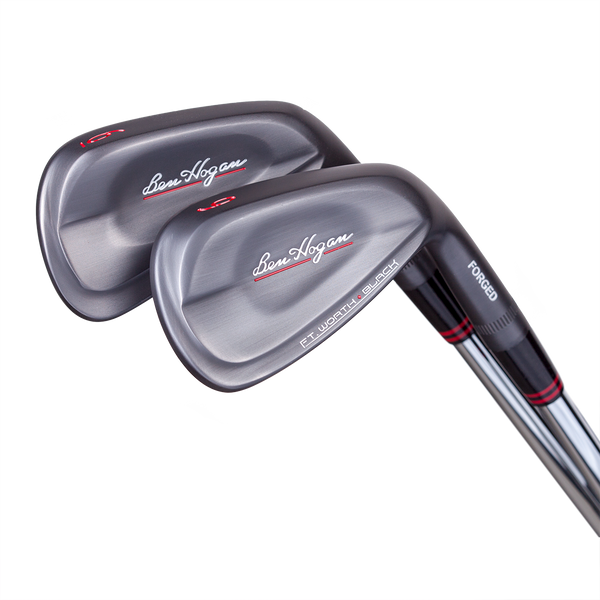 2) Click the link below to determine the value of your old equipment (you can even do this before purchasing new Ben Hogan golf equipment). 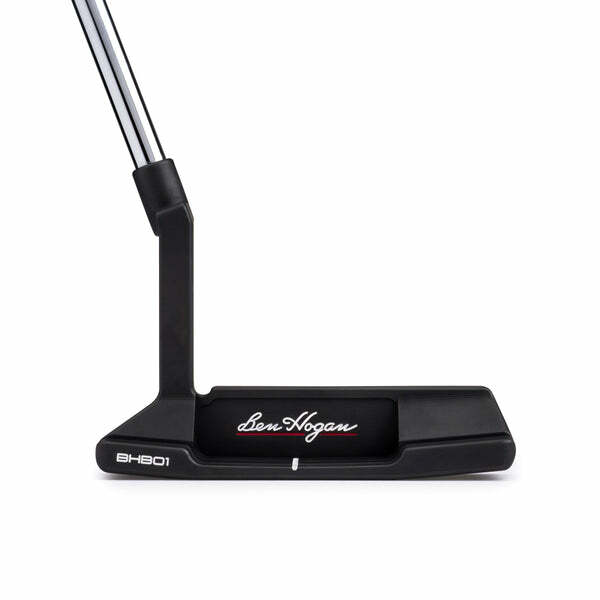 3) Once you decide to trade in your old equipment, you'll need to provide your Order Number from your recent purchase of new Ben Hogan equipment, then simply follow the prompts. 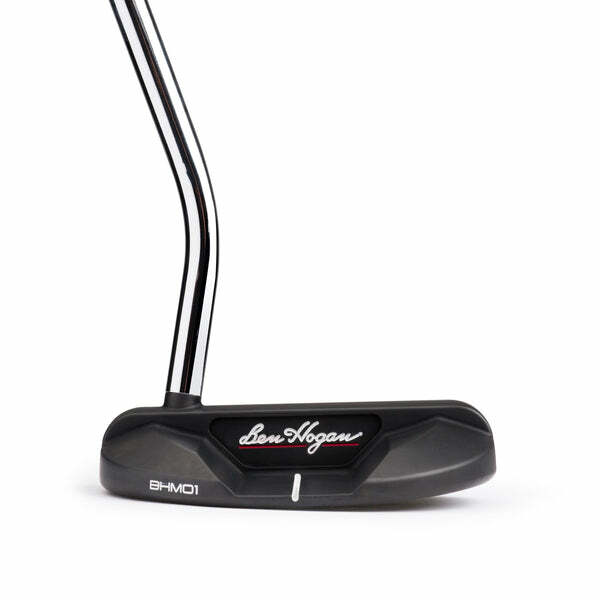 Enjoy your premium Ben Hogan Golf Equipment instantly and finance your equipment over-time. We have partnered with global payments provider, Klarna giving you options during checkout. Pay off your clubs varying from 6 to 36 months to take advantage of "no interest" financing. Apply for and read more details on Klarna credit at checkout. 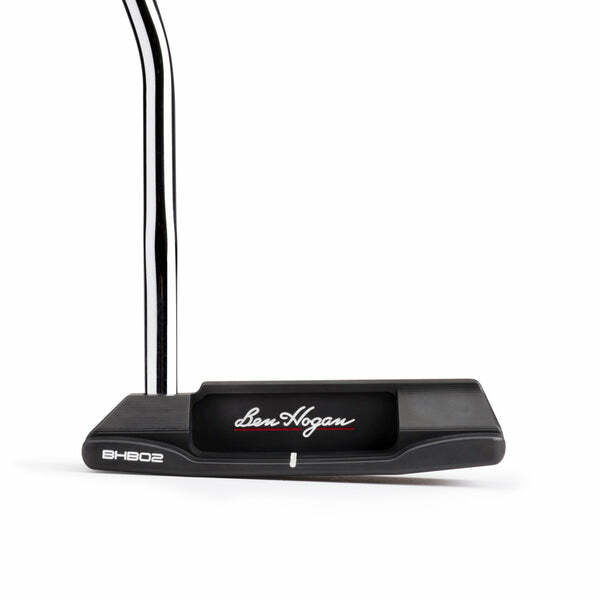 © 2019 Ben Hogan Golf Equipment Company. All rights reserved.